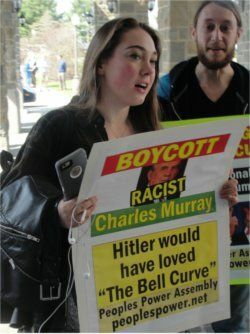 During the week of March 20, hundreds of faculty, students, staff and community members held a variety of protests at Virginia Tech University in Blackburg, Va., against white supremacist author Charles Murray. Murray, author of “Losing Ground” and co-author with Richard Hernstein of “The Bell Curve,” among other books and articles, was given space to speak March 25 by the Virginia Tech administration as part of BB&T bank’s “Capitalism and Freedom” lecture series. BB&T Corp. sponsors similar series and departments currently at over 60 universities, and the bank is known for distributing free pro-capitalist literature such as Ayn Rand books, writing curriculum and more. According to a report entitled “The Feeding Trough” issued by A Job Is A Right Campaign, the Milwaukee-based Bradley Foundation, the largest right-wing foundation in the United States, supported the writing of the notoriously racist book, “The Bell Curve,” to the tune of $1 million. The book was co-funded by the Pioneer Society, a holdover from the white-supremacist eugenics movement of the 1920s and 30s. 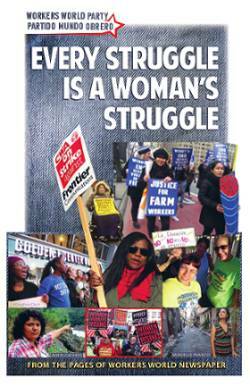 The book argued that poverty is the result of the existence of a permanent class of genetically inferior people — who just happen to be disproportionately people of African descent. The book ignored the legacy of slavery, the impact of economic conditions, personal dislocations or racial, sexual, gender or other discrimination. Protesting Charles Murray March 25 at Virginia Tech university. Murray’s work is an integral part of Wall Street’s right-wing foundation network that has as its goal to eviscerate all legal, social and other barriers to making profits by capitalists. This includes promoting deregulation and privatization, busting unions, promoting funding for the Pentagon instead of funding for cities such as Flint, Mich., and advocating the destruction of social safety nets such as Aid to Families with Dependent Children. Immediately upon learning of Murray’s scheduled appearance at Virginia Tech, student organizations, the Coalition For Justice and others, including numerous faculty from a rainbow of disciplines, joined together to resist Murray. 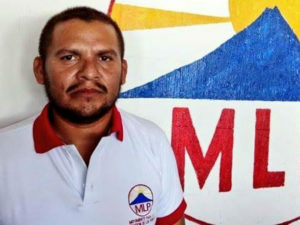 “We reject Murray’s work. We oppose the racist, sexist, classist bias in Murray’s writings. His hateful rhetoric and scholarship has been widely critiqued and dismantled,” reads a flyer distributed by Still Concerned: A VT Faculty Initiative. 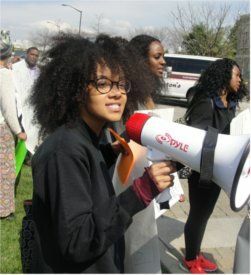 Protest events included a March 23 Teach-In Against Hate that drew over 200 people, counterlectures and a protest at the site when Murray spoke March 25. 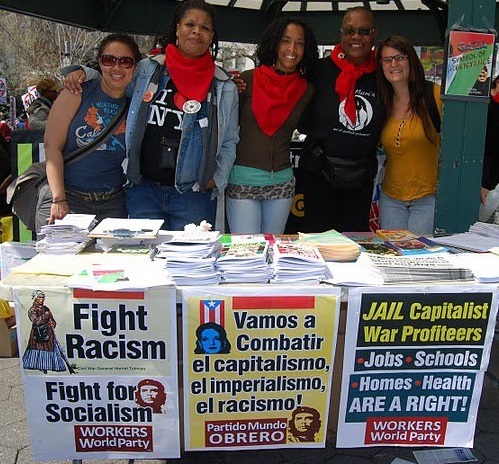 On March 21 information about the Murray protests was shared at “Hip Hop for Justice” with Black Workers for Justice members near Virginia Tech. On March 25, at The Inn at Virginia Tech, the site where Murray spoke for $10,000, a diverse, multinational, multigendered crowd of all ages participated in a strong “Protest Against Human Inferiority.” Anti-racist banners, signs and chants began an hour before Murray’s arrival. Just before Murray’s speech, the crowd of protesters moved inside the building and set up a two-sided, picket-line gauntlet which all those attending Murray’s speech had to walk through. Dozens honored the “Boycott (Racist) Charles Murray” call by the Coalition for Justice and Still Concerned by refusing to go to the speech and joining the picket line. The protests against Charles Murray are part of a series of anti-racist, pro-worker actions in central and southwest Virginia in recent weeks. 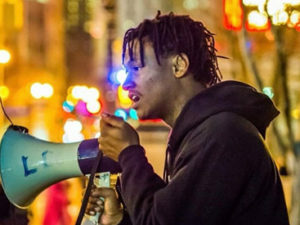 Since Kionte Spencer, an 18-year-old African-American student, was killed by Roanoke County cops Feb. 26, a variety of protests and support activities have taken place. On Feb. 29 at Radford University in Radford, hundreds came out to disrupt and protest Donald Trump. On March 21, hundreds took part in a “Rally Against Racism” in Lexington to protest the distribution of KKK material there in early March. And on March 26 in Martinsville, a “United We Stand, United We March: A March of Equality, A Rally Against Hate” took place.